Skills: measuring and cutting the wire mesh; building a shape; applying and priming the plaster; design planning. I will present options for transferring a pattern onto a curved surface. Also, I will explain how to work with tesserae on concave and convex areas and how to handle wet areas [3D work]. Skills: design transfer/marking; placing tesserae on curves surfaces; negotiating wet 3‐d structures and understanding tesserae as structural elements. On the 3rd day, the workshop will move from a generic to a more individualized approach. All the participants will have chosen different shapes and patterns to work with and I will start addressing projects on a 1‐to‐1 basis. I will help them to negotiate the remaining work load and coach all participants on finishing off the work. Skills: deciding on colour and finishes [grouting or not the work] and finalizing the sculptures. >A certificate of participation will be provided at the end of the workshop. >A $50 certificate will be provided by Mosaikashop for the purchase of smalti, marble, tumbled crockery and vitreous glass. 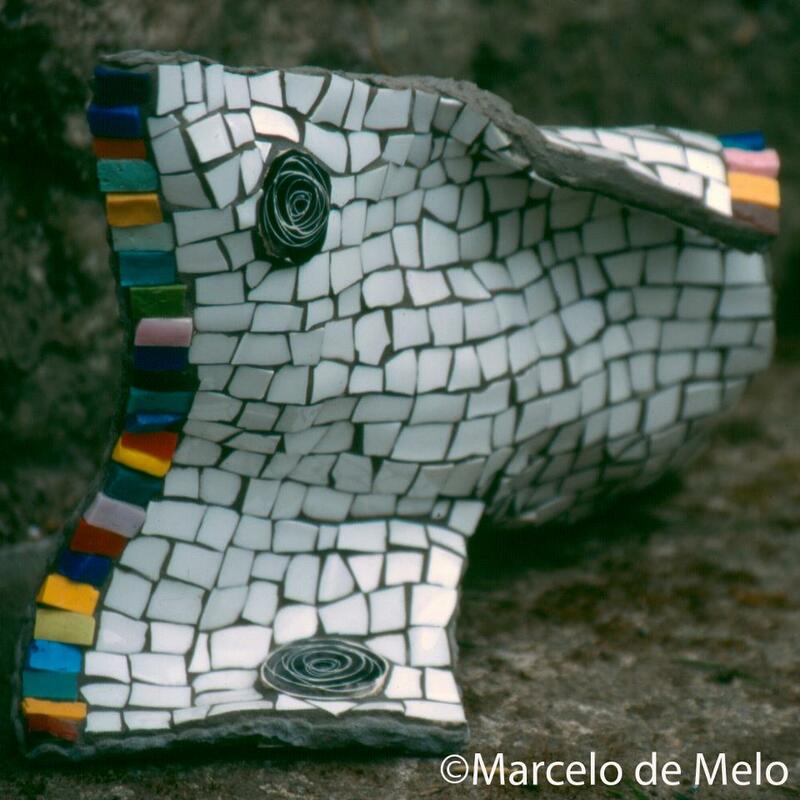 The Structural Mosaic Technique is unique to me, Marcelo de Melo. I have developed it over a period of several years. It is delicate work and requires good coaching. 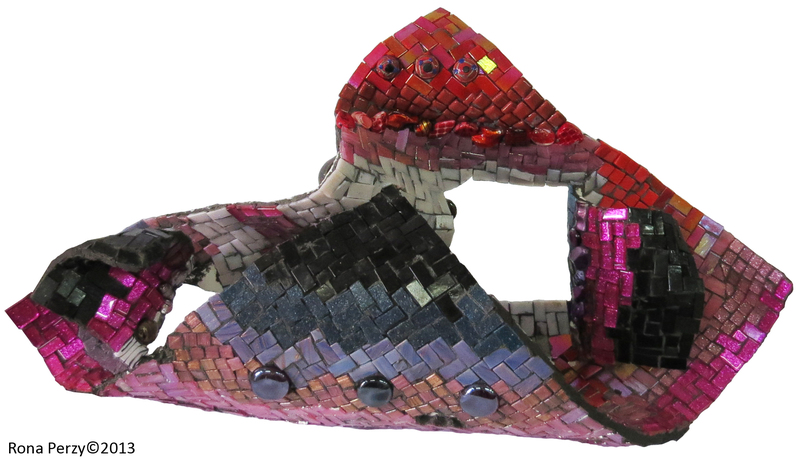 Any participant with a basic skill in cutting tesserae can have a very rewarding experience during the workshop. 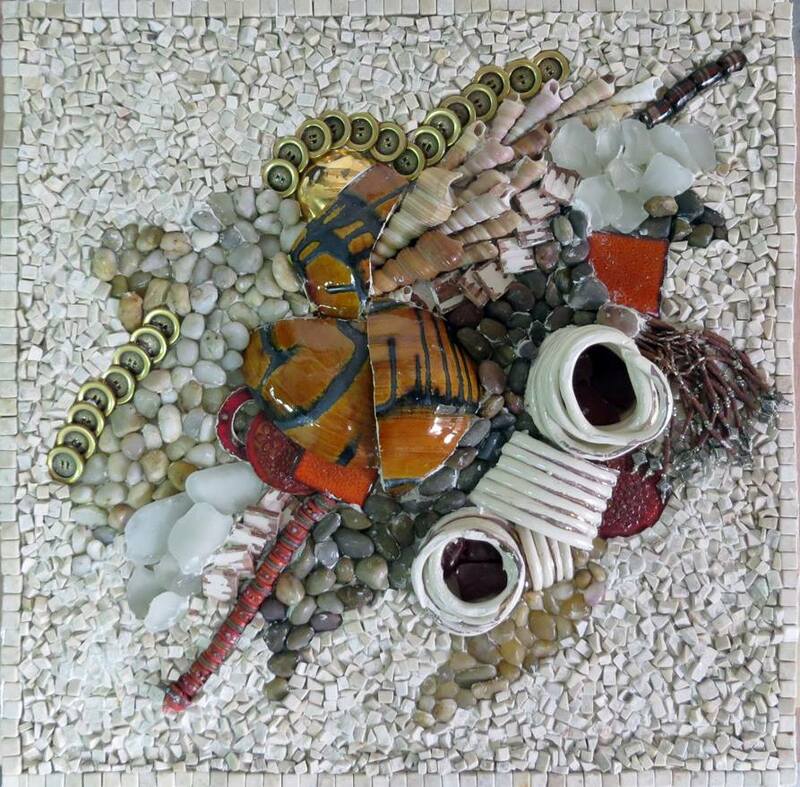 This workshop is aimed at those with a previous experience in mosaic making. 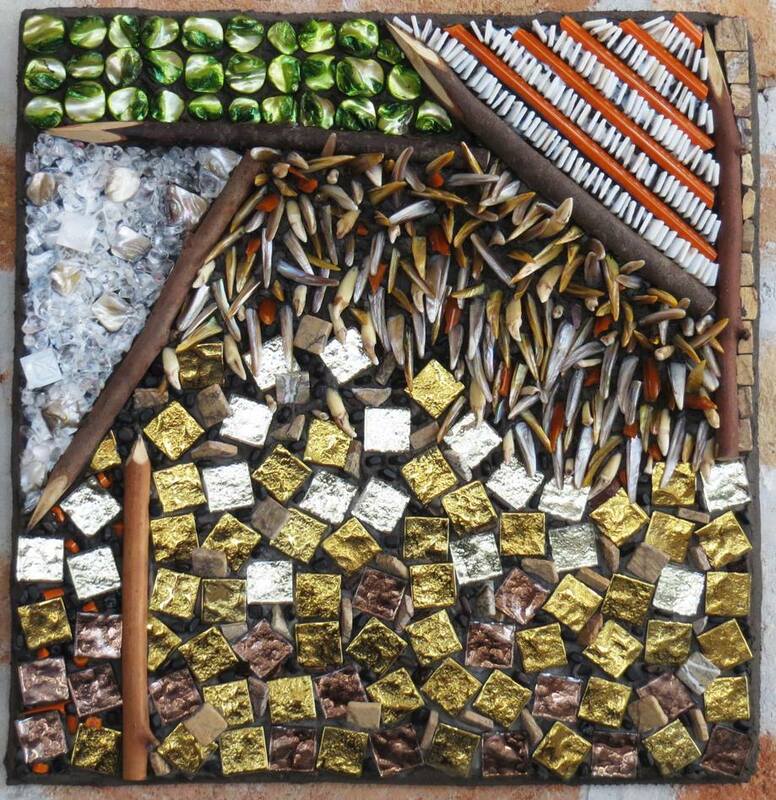 It will explore formal elements of composition intrinsic to mosaic art such as inclination, fragmentation, modulation and repetition. 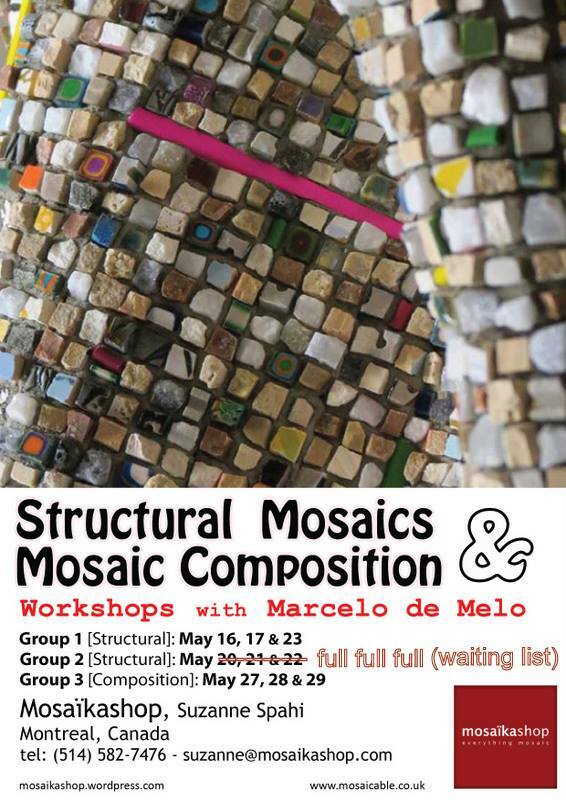 It consists of a basic introduction [lecture] and a practical exercise involving composition with tesserae, textures and varied materials, which will be executed on hand‐formed cement substrate. 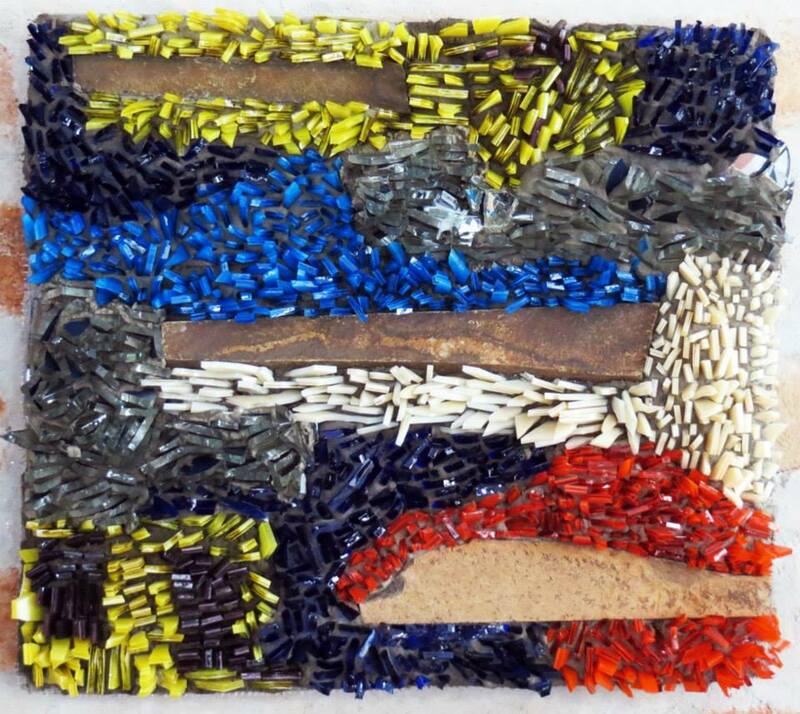 The workshop ‘Mosaic Composition’ is an invaluable course for any mosaic artist interested in thinking their production as a means of artistic expression. At the end of the course, the participants will be able to further develop their own work in line with the international thinking on artistic mosaics and will receive a certificate of participation. 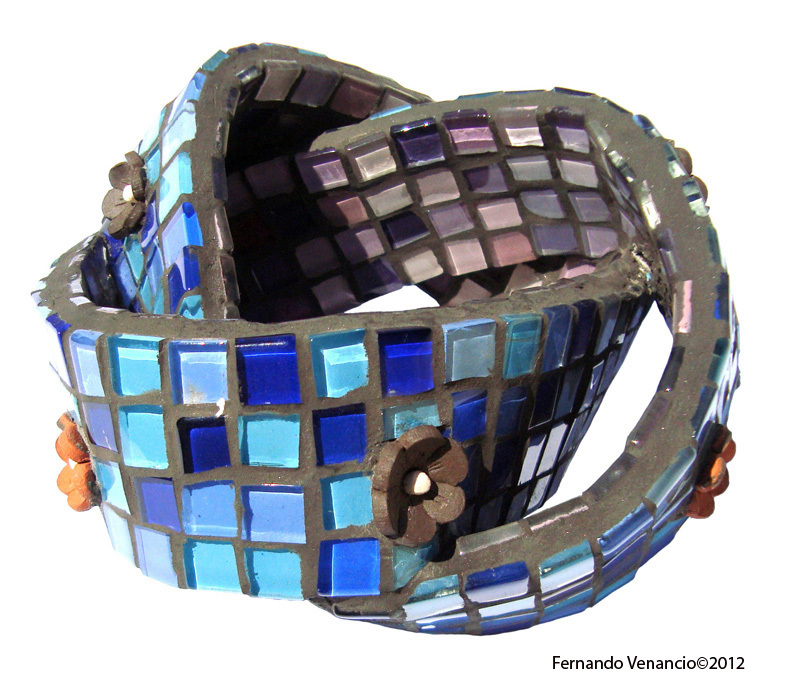 I will explain what ‘formal elements of mosaic composition’ are, and focus on the idea of ‘modulation’ in mosaic work. I will instruct the participants how to make the cement based substrate. I will comment on pattern, tesserae, colours and andamento as well as choices of materials and tools. Skills: thinking “artistically”; measuring and cutting fiberglass mesh; mixing cement based adhesives and adding colour; building a substrate; selecting materials and planning the work load. 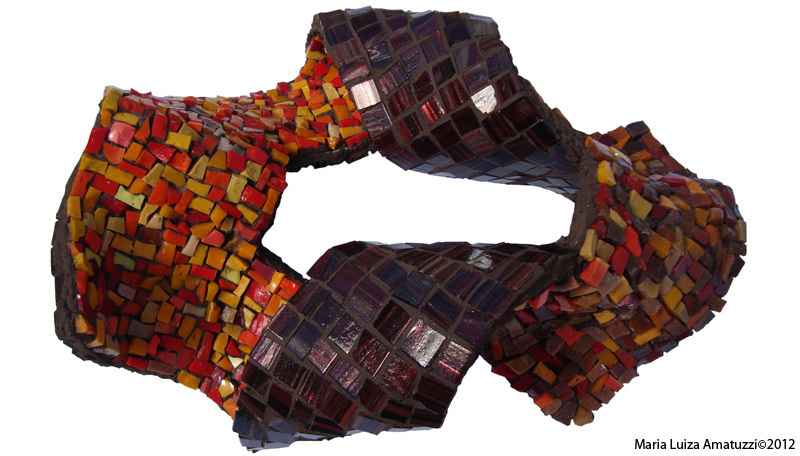 I will present options for working a diverse range of materials and ideas on how to consider the ‘formal elements of mosaic composition’ to strengthen the work’s narratives. Skills: preparing a ‘mood sample’ with materials; design planning; marking the substrate; placing tesserae on the substrate. On day 3, all the participants might have chosen different types of materials and narratives to work with and I will start addressing projects on a 1‐to‐1 basis. I will help them to negotiate the work load to best suit their individual needs. I will also explain how to prepare the substrate for hanging. Closer to the end of the day, we will encourage participants to share their thoughts on the creative process and experience by talking about what they have produced. Skills: finalising the work, finishing off edges and details, analising the work and thinking the process. It is delicate work and requires good coaching. 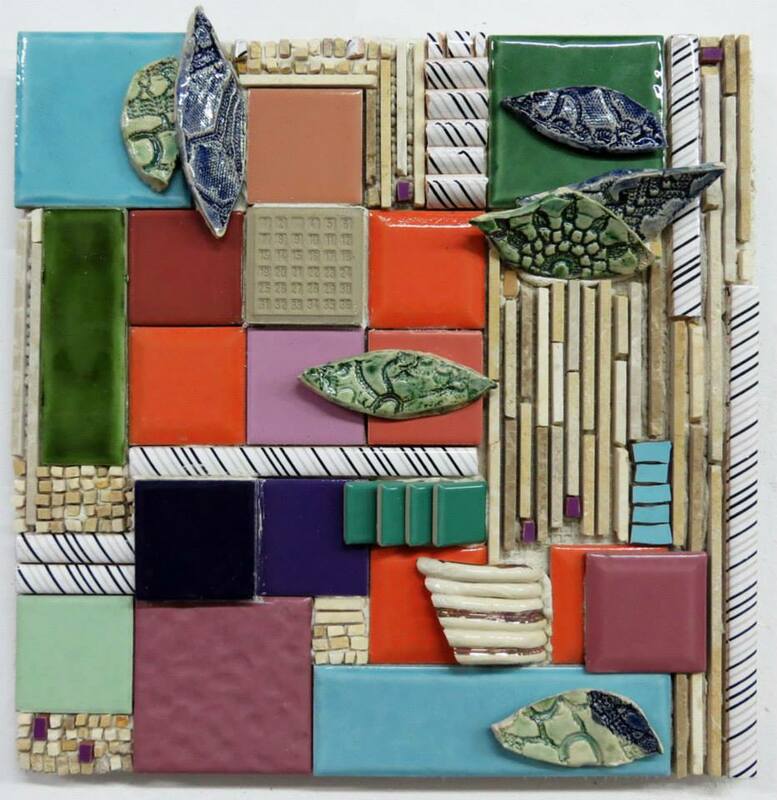 Any participant with a basic skill in cutting tesserae can have a rewarding experience during the workshop. Please take note that this class will be given in English. Reservations and questions: suzanne@mosaikashop.com or call me on (514) 582-7476. Since I deal with a lot with Mosaikashop please make sure you have read all the information carefully before asking any questions. We work hard to make it all as informative as possible! Je serais intéressée à suivre les cours de M. Marcelo de Melo en mai 2015.